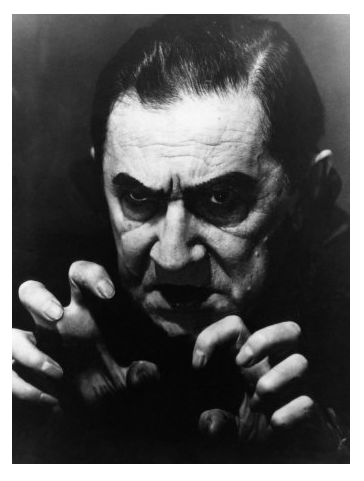 Folklore states that when Bela Lugosi travelled to England to appear in a revival tour of Dracula in 1951, he found himself surrounded by amateur performers in a production that dramatically folded soon after its premiere at Brighton’s Theatre Royal. Unpaid and stranded in England, so the story goes, he appeared in Mother Riley Meets The Vampire, a quickly organised film, to raise funds to pay for passage back to America for himself and his wife. In reality, all of the cast members were professional actors, as dictated by the rules of the British actors’ union Equity. The senior members of the cast had enjoyed long careers on the stage. Of the younger members, Richard Butler, the play’s Jonathan Harker, went on the have a long and successful career, appearing in high profile plays, TV series and films. Dracula toured the UK from April 30th to October 13th, 1951, during which time Bela Lugosi performed his signature role 229 times. While the production failed to deliver on a promised West End run, which Lugosi dreamed would restore his professional fortunes, it did not close until he announced that he did not have the energy to continue with the exhausting demands of life on the road and requested that the tour be terminated. He would never perform in the famous vampire play again. Far from being a last-minute desperate attempt to pay his way back home, Lugosi’s participation in Mother Riley Meets The Vampire was first announced in the press over two months before filming began, long before there was any indication that the tour of Dracula would end. Bela opened a new wet pea cannery at the Bachelors factory in Sheffield – August ? Bela and Lillian attend the London premiere of Scrooge – November 22.